On February 24, the Kyiv-based brutal death metal act Fleshgore released its new EP "Godless" via Sick Carnage Productions. Above, you can check out its full album stream. "Godless" became the first record of the band, which was recorded with the band’s new drummer Eduard Litvyakov. Fleshgore’s latest LP titled "Denial of the Scriptures" came out in 2016. 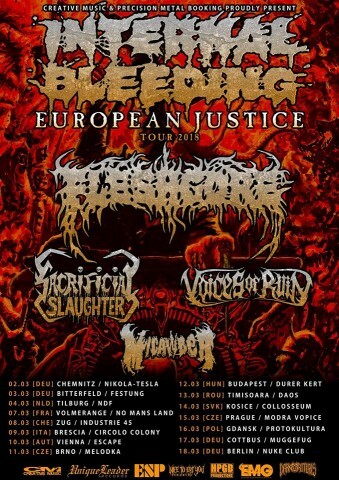 At the moment, the Ukrainians are on the European tour with the American band Internal Bleeding. The tour will last until March 18 and end with a concert in Berlin.